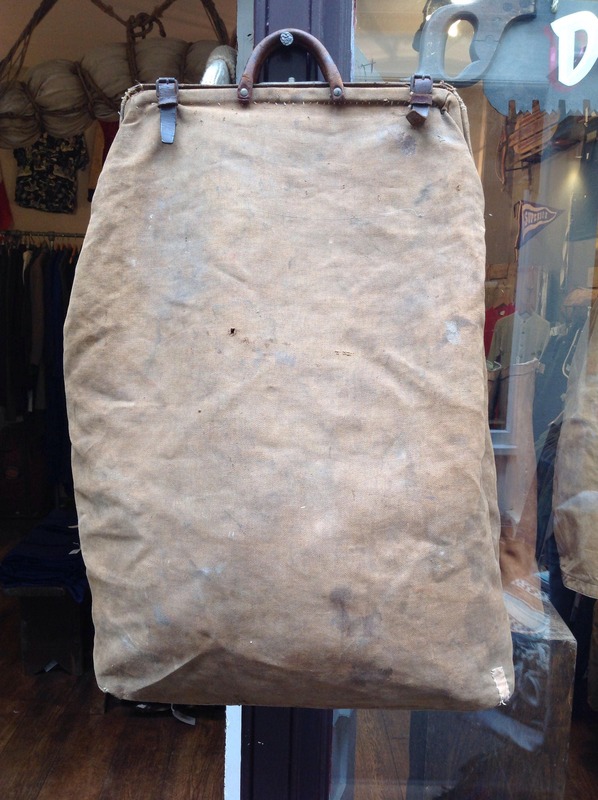 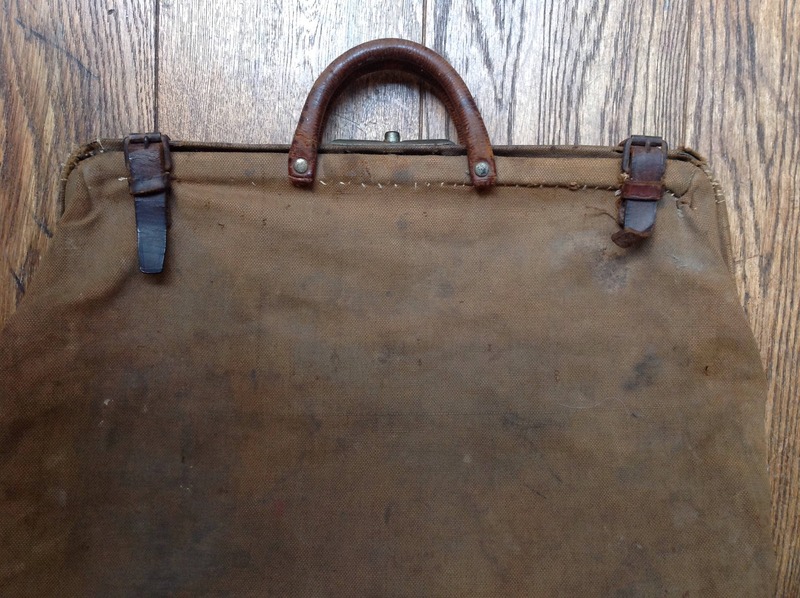 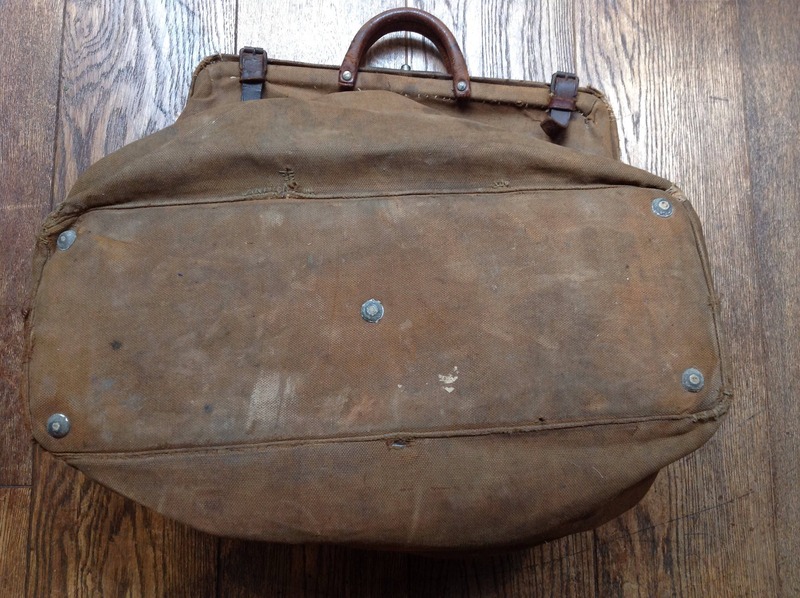 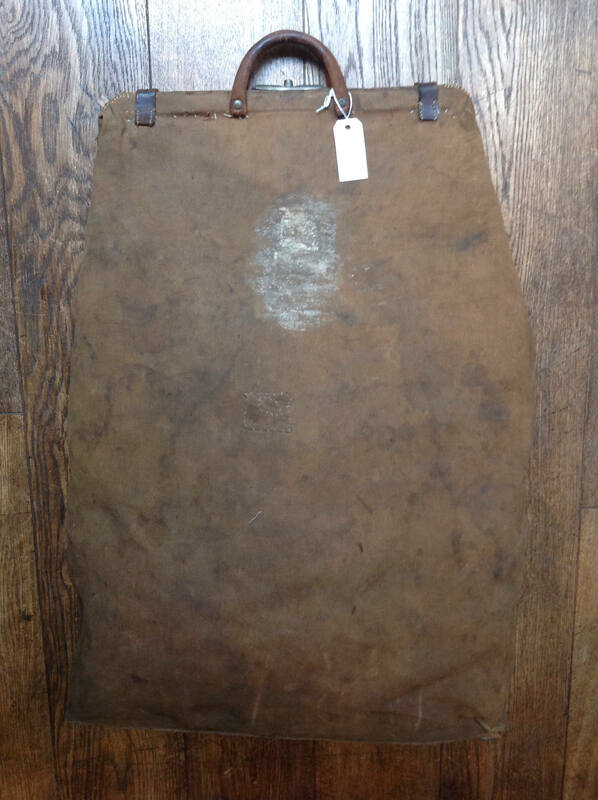 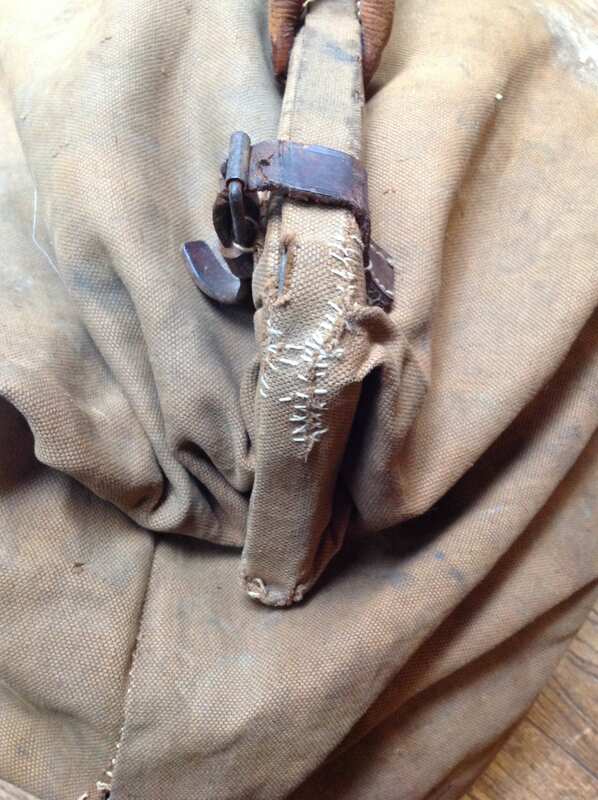 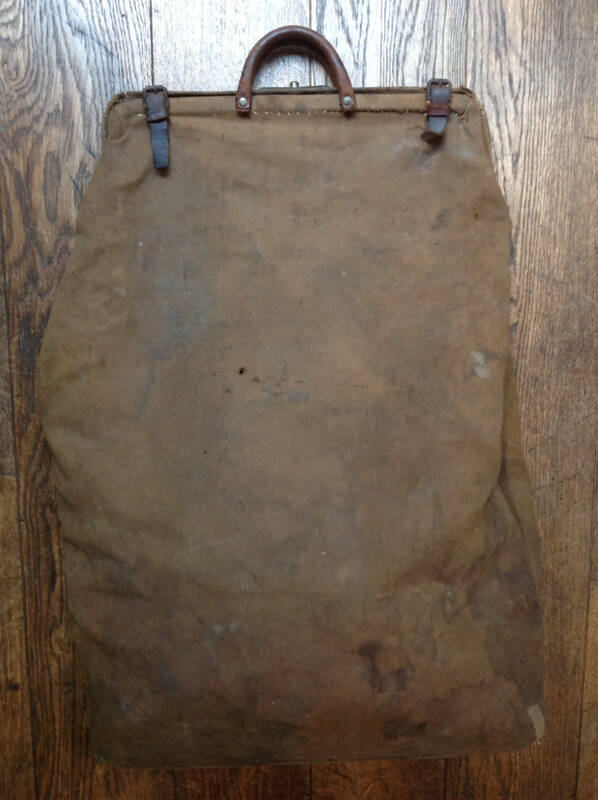 A large French canvas laundry bag dating from the early 20th century. 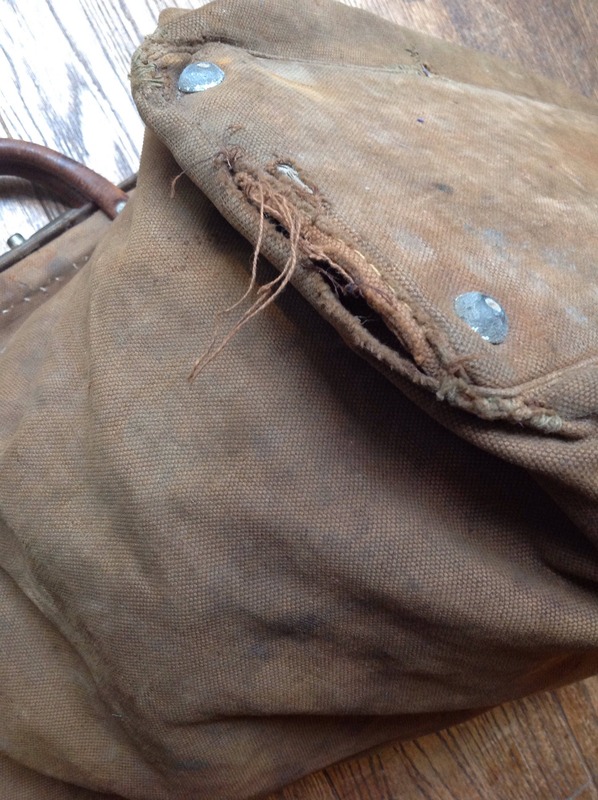 Noted flaws, marked throughout, various repairs throughout, some 1/2" seam splits at the sides, signs of wear throughout - please see photos. 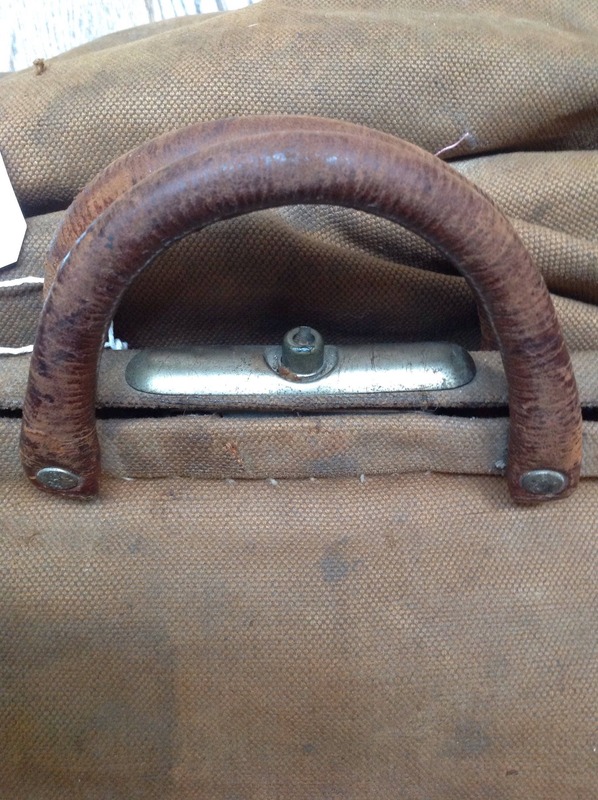 Leather handles and buckled straps - the leather is quite dry but everything works as it should and regular oiling will help with the dryness. 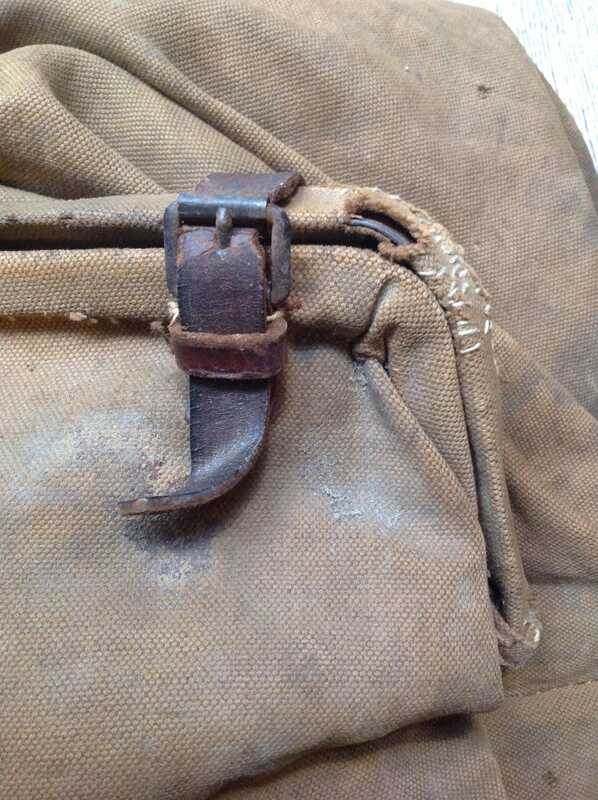 Metal clasp at the top, unlined, studded base. 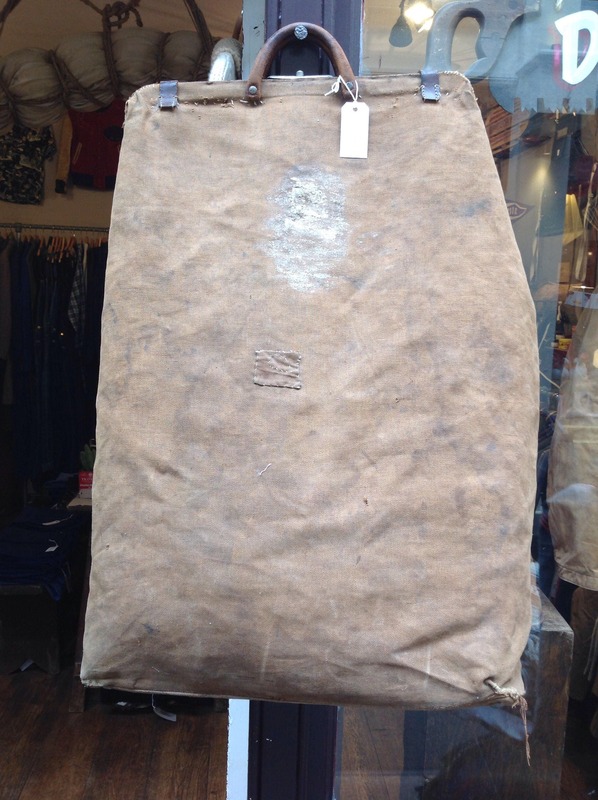 Measures - L30" x H20" x D7"